The Flooring Industry Training Association (FITA) is the official facilitator of accredited training for all flooring installers. The association was established in 2013 to address the desperate need for new skilled artisans in the flooring industry as well as new legislation regarding the training and registration of artisans. FITA maintains a national register of installers and their qualifications and its goal is to develop this database. FITA has earmarked 13 types of flooring applications that will each receive its own specific curriculum in a qualification that has been scoped and is with the Quality Council for Trades and Occupations for registration. The curriculum for each flooring type is expected to be launched in 2019. Each curriculum comprises theory, practical experience and work experience, and learners will be taught and assisted by CETA approved training providers in a classroom setting. Short skills courses run for varying lengths of time and installers can do these as when required, to earn credits. A full learnership, which FITA currently hosts for brand new installers, is six months of theory and six months of practical training. Cad4ALL in Cape Town is a FITA service provider who recently started a learnership for 50 unemployed youth. The costs of the learnership are funded by Discretionary Grants from CETA and the host companies bear no financial responsibility for the learners. FITA covers them through the Compensation for Occupational Injuries and Diseases Act (COIDA) and the grant allows for a stipend of R2500 per person per month. What type of designation can an installer apply for? “Flooring installations have become increasingly complex and installers are expected to know how to install everything from vinyl to tiles and rubber. Without proper training and accreditation, this task will simply remain a ‘job’ that is done without quality control and precision. We want to develop installers so that they see their roles as career paths with varying levels of qualifications and prospects,” says Jenny. 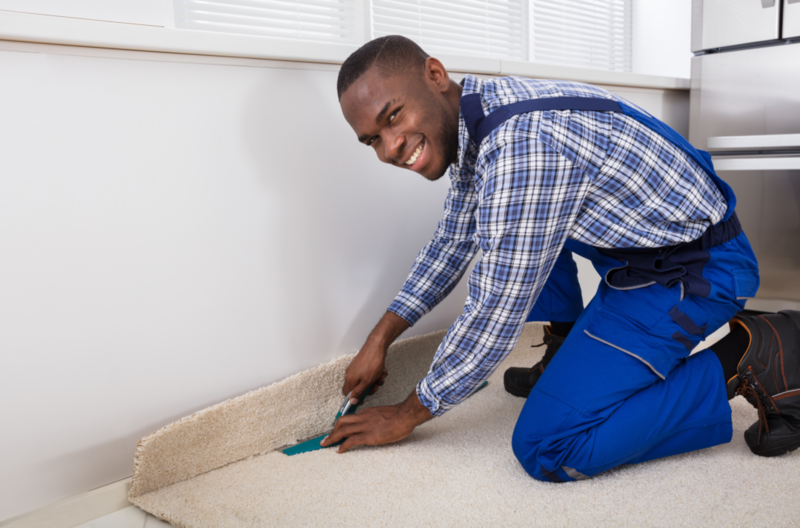 Through the upliftment of contractors and subcontractors, flooring installers can pursue new business ventures and projects. FITA is focusing on facilitating the training of tradespeople who are both new to the industry as well as experienced in the flooring sector. “Flooring systems on the market continue to change, and older flooring experts aren’t always eager to part ways with the old way of doing things. Staying up to date with the latest installation methods will ensure your business stays relevant into the future. Our training is for new tradespeople and experienced installers alike,” says Jenny. FITA has a recognition of prior learning assessment where more experienced workers who have not been formally trained can be assessed. In these cases, existing qualifications are registered with CETA if the older worker has the necessary experience to qualify for an accreditation. FITA’s goal is to create a comprehensive network of courses, trainers and tools so that every person who wants to install flooring has the opportunity to do so. Access to the correct information, upskilling opportunities, workshops and training are some of the ways that they plan on achieving this goal. Flooring manufacturers are usually stuck between a rock and a hard place when poor installations are done. To uphold their favour with clients and the public, manufacturers appease contractors regardless of whether the flooring product was installed poorly or the product itself was of an inferior quality. Jenny says that it is important for architects to know that they can specify that an accredited installer be used for a job. FITA has issued installers with cards, indicating their designation and skills set. “Through insisting that only FITA installers are used, manufacturers can mitigate the costs and negative impact of substandard flooring installations. To move the industry to a governed sector, we need the support of manufacturers to ensure that contractors aren’t ‘flying under the radar’ when they continue doing poor quality work. Our training, services and tools means there is no longer a reason to accept poor workmanship,” adds Jenny. Specialised tip: Through insisting that only FITA installers are used, manufacturers can mitigate the costs and negative impact of substandard flooring installations. Full thanks and acknowledgement are given to www.fitasa.co.za for some of the information provided to write this article.